Today’s customer won’t just browse your website, they’ll check your app, look at your digital signage, and see your brand all over social media. Digital products are now core components of businesses, brands, markets and customer value. 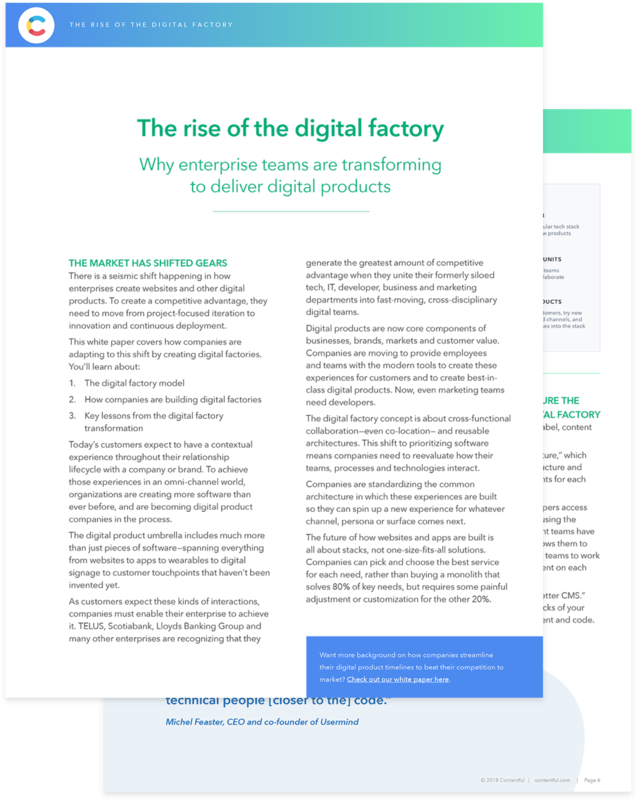 To keep up, enterprises need to build agile digital factories. "“The digital factory approach enables large organizations to incubate a new digital culture and operating model while allowing the broader business to touch and feel the change and see the power of a new way of working” "